Is it possible to play ESO solo? I am looking for a new game but I like to play solo. How pvp system looks in ESO now? How is the best way to get tons of gold? :D thanks for the answer. https://mmogoldprice.com/game/the-elder-scrolls-online here I see that prices in this game are a little bit high but it can be great option to sell something sometimes. loki2 hasn't shared anything about themselves. The "landscape" part of ESO is most of the game, including 20+ zones and 1000+ quests. 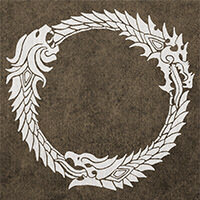 It is meant to be and can be entirely soloed, with the arguable exception of parts of Craglorn. How many of the 4-person endgame dungeons you can solo depends on how good a player you are. I don't think anybody solos the 12-person trials. There are many good ways to get gold. Their effectiveness rises and falls with changes in market conditions, so asking for the "best" way won't get a reliable answer. There is now a small-scaled, objective-based PvP system known as Battleground; you should definitely check it out if you haven't already. It essentially shortens the distance between fights and allows for small-group-oriented fighting in a much smaller area. In terms of the actual skill mechanics in PvP, it is still a continuous process for balancing; I don't know your extent of knowledge on the mechanics, so it's difficult to give you any sort of indicator about "how it looks". You won't really need that much gold if you are playing solo - the only relevant gold sinks for solo play in gear repair (which is tied to xp gained) and the utility costs (e.g. riding skills, bank space and inventory space). Without joining guilds to sell your materials, you also miss out on a massive revenue stream to fund your interaction with the wider economy. It is absolutely possible to solo ESO! Sometimes even preferred haha If you need some help, I wrote an article with some PvE (Player vs Environment) solo builds that i've used: http://www.gamersdecide.com/articles/ranking-top-5-best-eso-builds-2018 and then here are the classes with hyperlinks to builds i recommend that can be used in dungeons or soloing: http://www.gamersdecide.com/articles/eso-summerset-classes-best-worst . I hope this helps!! Sure you can play this game solo, i'm a solo player myself and i'm having a lot of fun. The thing is that this game is more enjoyable with friends, i started in December last year to play solo my girlfriend wanted to play with me, made a new character and started playing together. Soloing is possible and can keep you glued to chair for weeks even months.